STOP PRESS!!!!! We have some great news – Our Ugandan partner Phoebe Ochan has been granted her visa and will be visiting the UK in October 2016. We will let everyone know her schedule as soon as we have her itinerary confirmed. Bethel Primary school has taken many strides academically from January 2016. 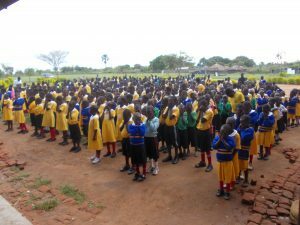 Gulu Bethel Christian School completed registration with the Uganda National Examination Board (UNEB), the body that grants the status to Primary Schools to become centres where pupils can sit the Primary Leaving Examination (P.L.E). All classes sat at least 4 sets of exams in the first term, and so far 2 in the second term. 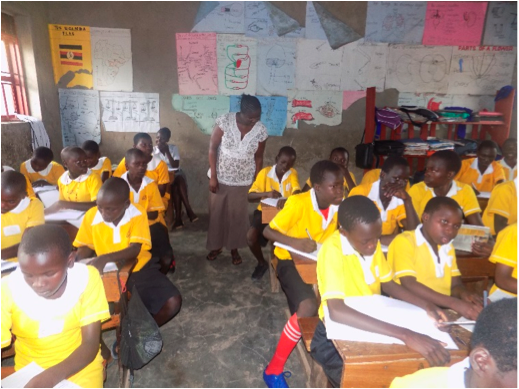 P.7 class sat the Pre mock examinations that were set by the district education office and emerged 4th in the whole district in performance. 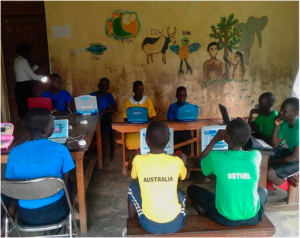 The school has also introduced computer class, using children’s computers to introduce basic skills in computer to the children, but also to improve children’s reading and spelling skills. This has been very exciting to the pupils. Majorly this term, pupils at Bethel indulged in internal debating and football competition. In football, P.5 class emerged victors, taking the trophy from last year’s winners who are now in P.6. Bethel has continued to train children to live God’s way. This has yielded a lot in shaping the children and the parents testify that their children who come to Bethel are examples to the other kids in the villages. One boy, Jude Lubangakene, now in P.7 is an example of the change. When he came to Bethel that was a “punishment” by his parents who considered him impossible to discipline. At the start of his study at Bethel, he was renowned for bad things; fighting, theft and disobedience. 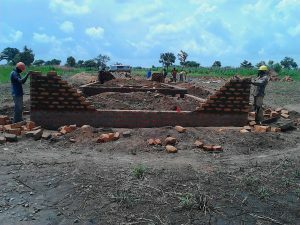 Through constant hearing the word of God and guidance from his teachers, Jude changed and his parents and people in his whole village were amazed. 3 other parents from Jude’s village sent their kids to Bethel as a result of the transformation they saw in Jude. Bethel staff has continued to hold their mid-week fellowship every Wednesday. The head teacher of the school, Ronnie Obonyo, also wedded his wife in Church in June as a result of hearing the word of God regarding how a Christian should live. 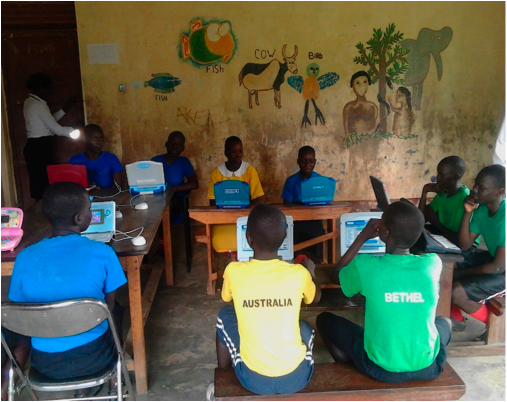 In the first term, the head teacher participated in computer training, organised by the District Education Department to equip head teachers with skills to fill registration forms for P.7 pupils on line. There were also a number of internal capacity building initiative; staff were trained in basics of management and customer care. 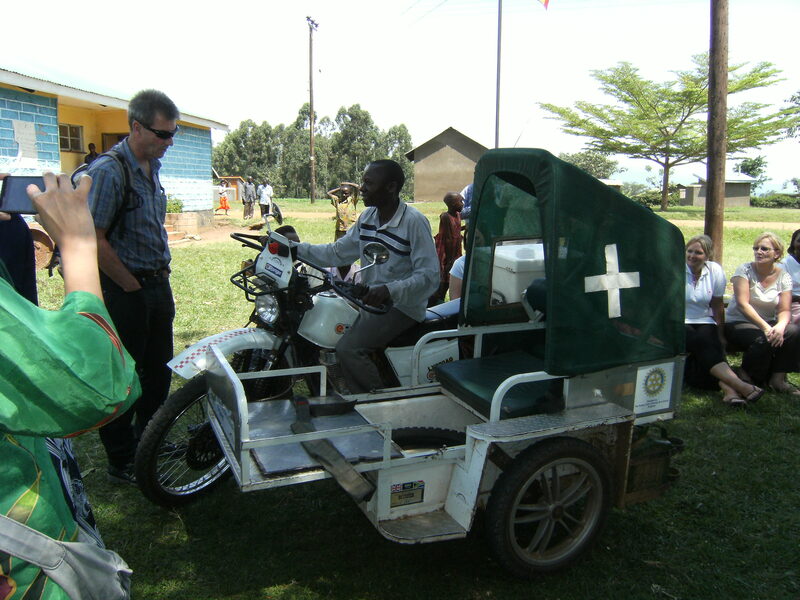 I moved in the three sub-counties where the motorbike ambulances were donated. The ambulance is still in good mechanical condition. It has been picking up women and other emergency cases from the villages to the health centers. 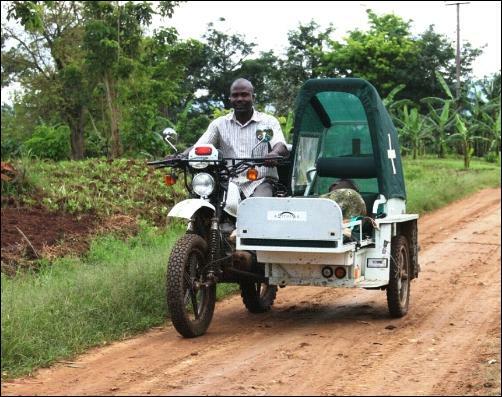 The sub-county is struggling with fueling the motorcycle ambulance. The wet/dump soil is inconveniencing the use of the motorcycle. Minor repair/services on the motorcycle is needed but there is no money to do this. As usual the motorcycle ambulance is very busy in the field. Actually when I was there, it was way deep in the village getting an expectant mother to the health centre. In the last 3 months it has brought 11 expectant mothers and 22 emergency cases to the Health centre. The condition of the motorcycle ambulance is good according to the patients we interviewed. In Gulu, they have held a youth conference, women’s conference and men’s conference since December 2015. James also spoke at a youth conference in Serere, a district in Eastern Uganda. James and Phoebe both spoke at another conference in Kumi, also a district in Eastern Uganda. 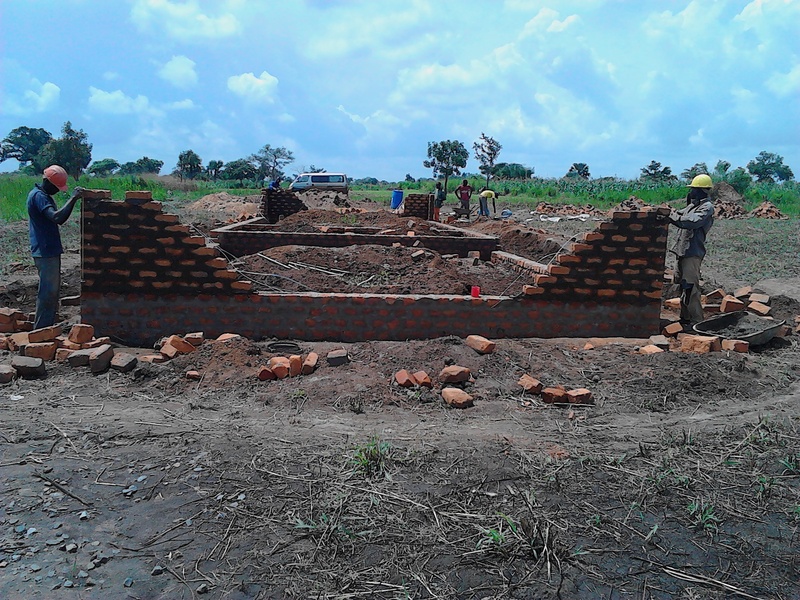 We’ve been sending money over to secure land and begin the foundations of phase one of the building of our new secondary school. We’re so excited to show our latest photograph. It doesn’t look much but to us it’s a visual reminder of the promise of a dream we were given 6 years ago!